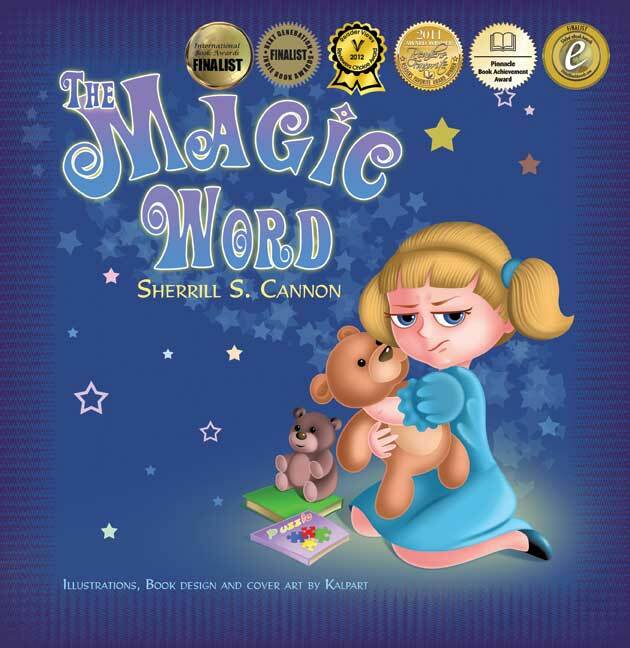 Sherrill S. Cannon is a former teacher and a grandmother of ten who is also an Award-Winning Best-Selling Author! Her books A Penny for Your Thoughts, My Little Angel, The Golden Rule, Mice & Spiders & Webs…Oh My!, My Fingerpaint Masterpiece, Manner-Man, Gimme-Jimmy, The Magic Word, Peter and the Whimper-Whineys, and Santa’s Birthday Gift have received fifty-three 2011-18 National and International awards. Most of her books try to teach something, like good manners and consideration for others. All of her books are also part of a fundraiser for both imbullyfree.org and CureJM Foundation. 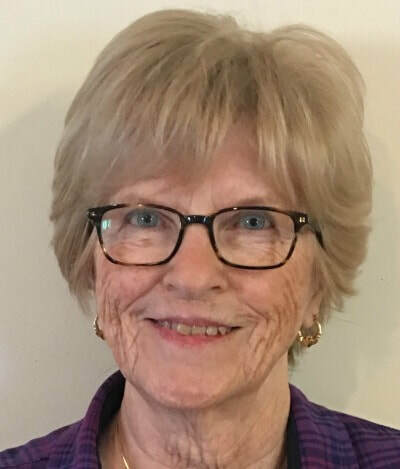 Sherrill is also the author of seven published and internationally performed plays for elementary school children, which have been produced internationally. She is a resident of New Hope, PA and travels with her husband of 58 years from coast to coast in their RV, sharing her books along the way! 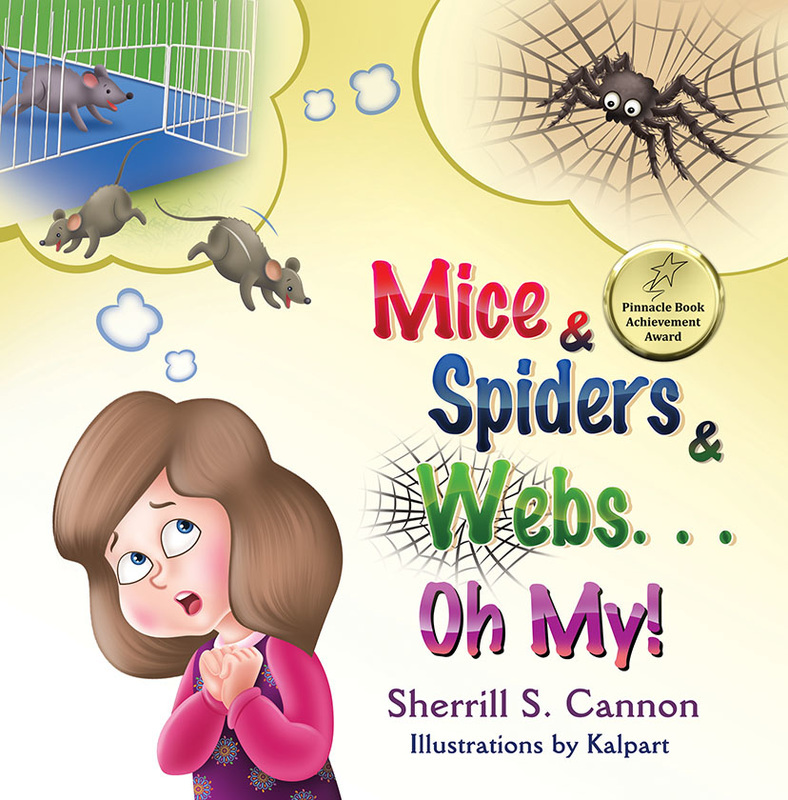 Mice & Spiders & Webs...Oh My! This book illustrates the importance of being a good listener. It also is a cute introduction to basic computer terms. Rosemary is worried about returning to school, after her teacher has warned the class that they would soon have some mice, spiders and webs in the classroom. Could Rosemary have misunderstood something? It has already won a Pinnacle Achievement Award. Winner of 7 Awards, My Fingerpaint Masterpiece deals with perspective, perception and self-esteem as a child fingerpaints artwork in class, and later discovers it as part of the town’s Art Contest. 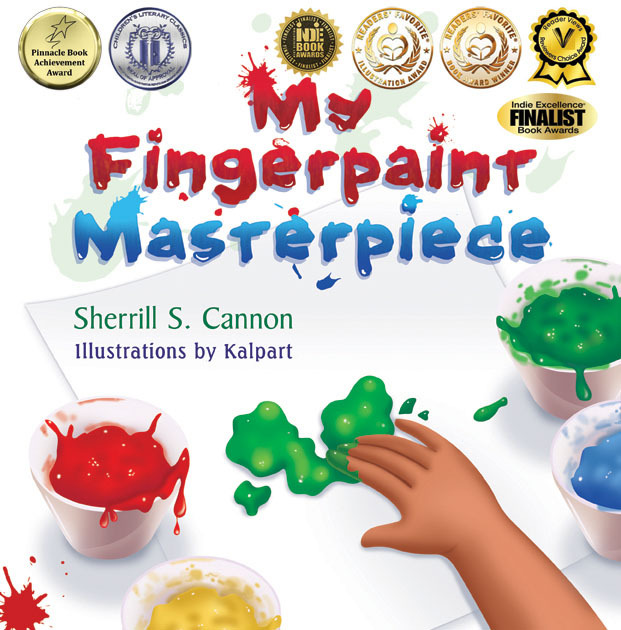 It has won a 2014 Readers’ Favorite Gold Medal in Children’s K-3, as well as their Illustrations Award, a double Finalist in the Next Generation Indie Awards, a National Indie Excellence Award, a Reviewer’s Choice H.M., as well as a Children’s Literary Classics Seal of Approval and a Pinnacle Achievement Award. Winner of ten awards: Winner of the 2014 CLIPP Principals’ Award, the KART Kids Book List, the Reviewers Choice Award, the Los Angeles Book Festival, a Global eBook Silver Medal; as well as a 2013 Readers Favorite Silver Medal, National Indie Excellence Finalist, a Pinnacle Achievement Award, and H.M. in the London Book Fair and Rebecca’s Reads Awards. 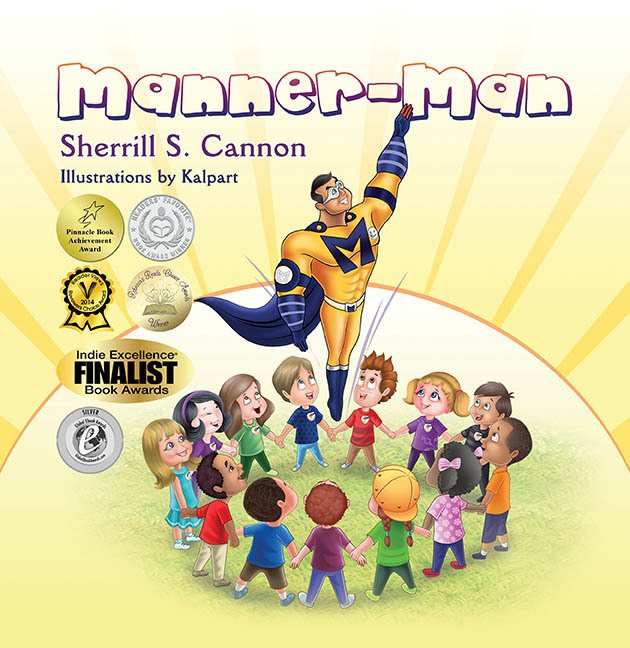 Manner-Man is a Superhero who helps children cope with bullies, and teaches them how to look within themselves for their own superhero. Winner of six awards: the 2011 Readers Favorite Gold Medal, 2011 Pinnacle Achievement Award Winner, 2011 Global Finalist Award, 2012 Reader Views Second Place, 2012 International Book Awards Finalist, and 2012 Next Generation Indie Finalist. Elisabeth needs to learn The Magic Word “please”, and to use it every day. Please and Thank you are words that everyone needs to use! Winner of the 2011 Readers Favorite Bronze Medal and the 2011 USA Best Books Finalist Award. Peter and the Whimper-Whineys helps parents cope with whining, disguised as a fun story. 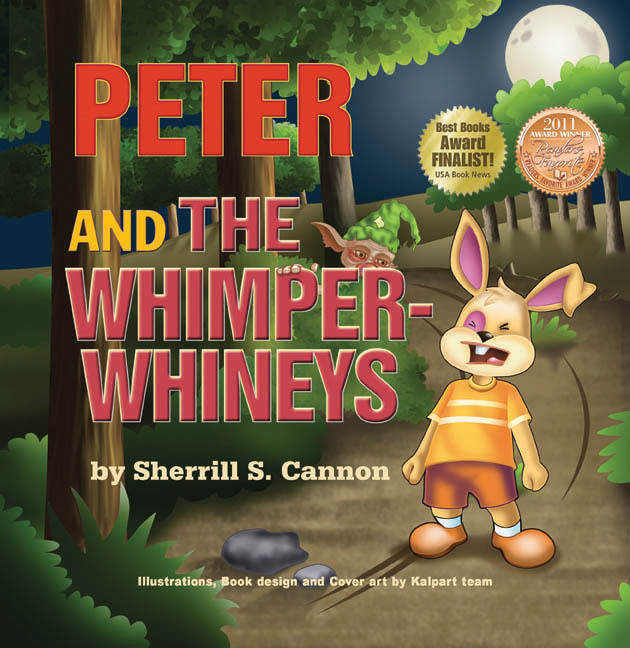 Peter is a rabbit who whines all the time, and might have to join the Whimper-Whineys. Winner of the 2011 Readers Favorite Silver Award and the 2011 Indie Excellence Finalist Award. 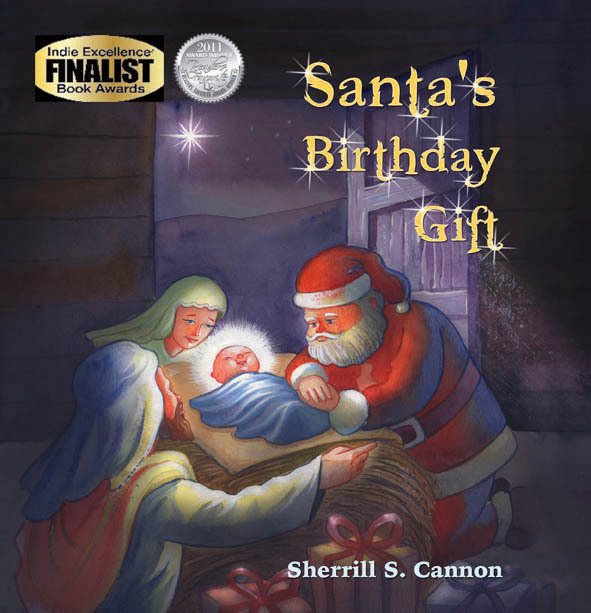 Santa’s Birthday Gift includes Santa in the Christmas story. What if you treated others the way you'd like to be treated? What if everyone did that? What kind of world could there be? 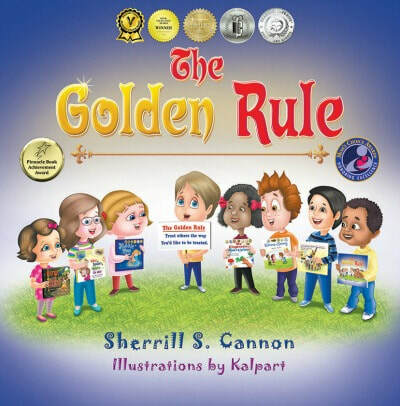 Please join in the children's quest to discover how to follow The Golden Rule. 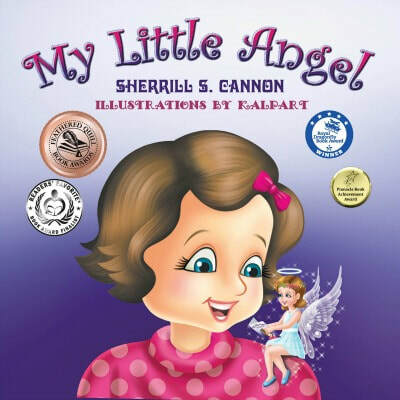 The book has won a Book Excellence Award Gold Medal, Reviewers Choice Silver Medal, Children's Literary Classics Silver Medal plus Seal of Approval, Mom's Choice Silver, Readers Favorite Finalist Award, IAN Book of the Year Finalist and Pinnacle Achievement Award.